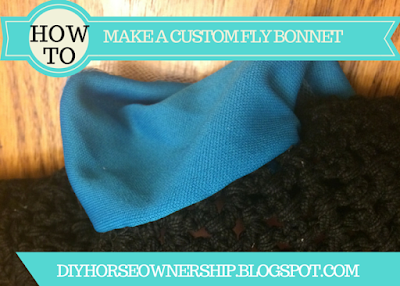 I don’t know how to crochet, so I came up with a way to make custom ear bonnets using a cheap pre-purchased crochet bonnet customized with fabric ears. 1. Take your pre-made fly bonnet and remove any fringe hanging from it. 2. Use you seam ripper to remove the ears from the bonnet without cutting the fabric. 3A. If you’re going to do two fabrics like I did, trace the ear onto a piece of paper and use that paper as a template. 3B. If you’re only using one fabric, you can use your seam ripper to open the ear up fully and then trace that onto the paper for a template. 3C. 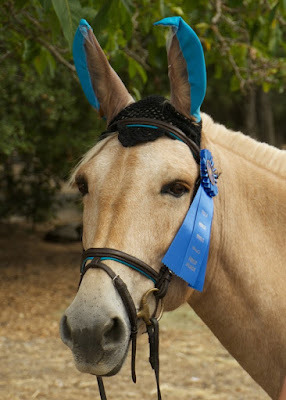 If you’re making a mule bonnet like I was, you’ll be making a template from scratch as the ears need to be much bigger. Measure your mule’s ears and add an extra cm to the length for the sewn part. 4. 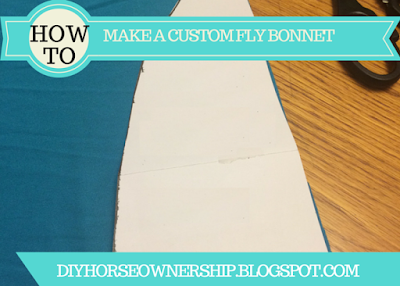 Place your template on your fabric and trace around the template to mark the fabric. 5. Flip the template over and repeat (if you do two of the same side, you’ll end up with 2 left or 2 right ears). 6. If you’re doing 2 fabrics, you need to repeat steps 4-5 on the second fabric. 7. 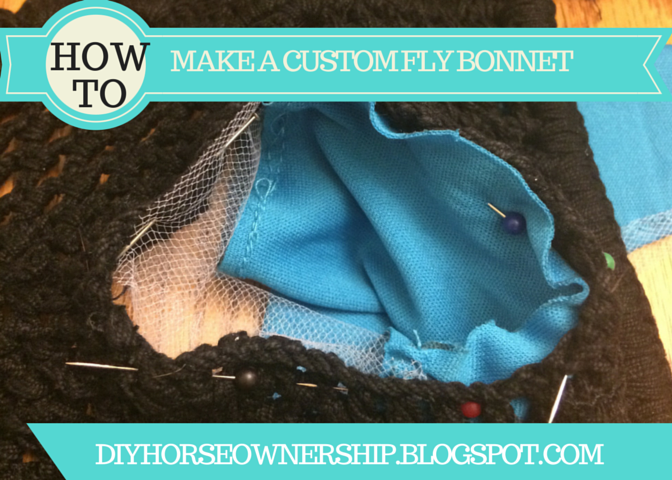 Place your 2 left ear fabric pieces together and pin. Repeat with the right ear pieces. 8. Sew the 2 pieces together keeping close to the edge. You can do this by hand if you don’t own a sewing machine, but it’s a lot faster with a machine. 9. 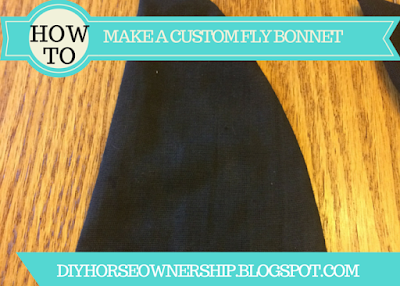 Sew both long edges together (1 edge if doing only 1 fabric), tie and cut off your loose threads, and then flip the ears inside out. 10. The ear should now be right side out. Place the right ear inside the right ear hole in the crochet bonnet. 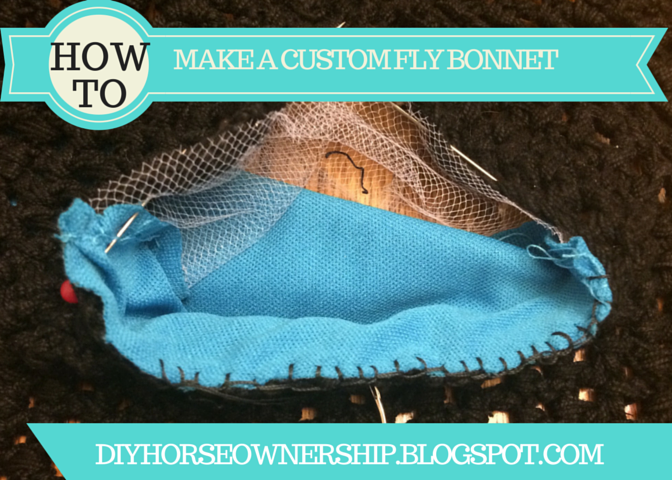 If using a mesh second fabric, you want that fabric lined up with the front of the ear. 10. 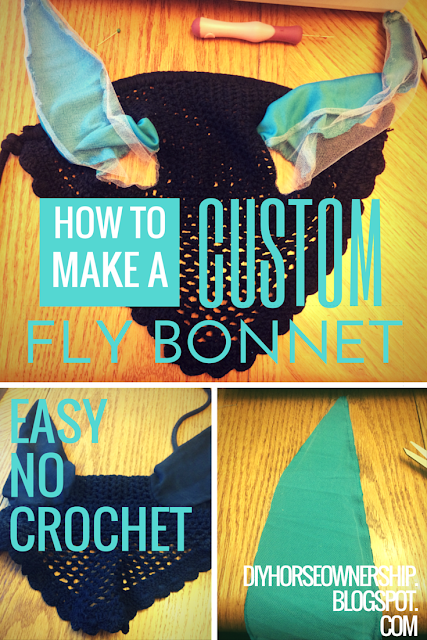 Pin the fabric ear to the crochet bonnet from the underside. 11. 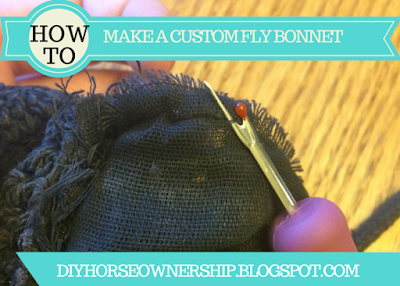 Using blanket stitch, sew the ear to the bonnet. A curved mattress needle makes this easier, but a regular needle will work. 12. 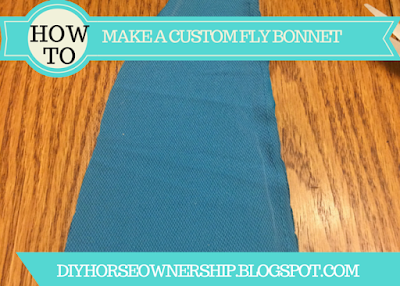 Sew all the way around and tie off, from the top side, you won’t see the thread. 13. Repeat with the left ear and you’re done. 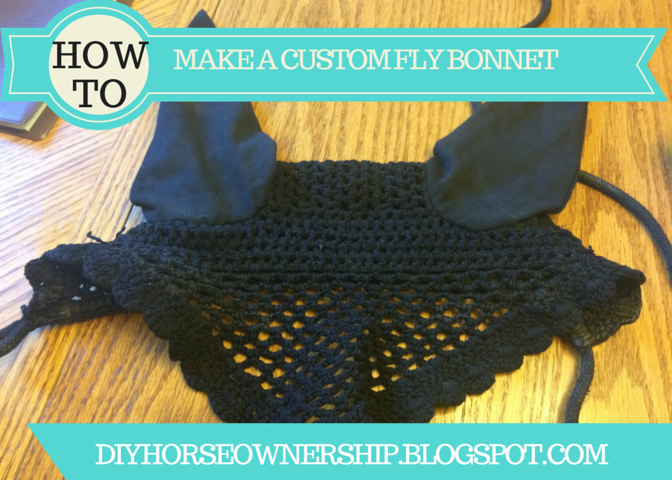 I get a lot of compliments on this ear bonnet both at shows and endurance rides. It really stands out and the color matches our tack perfectly. 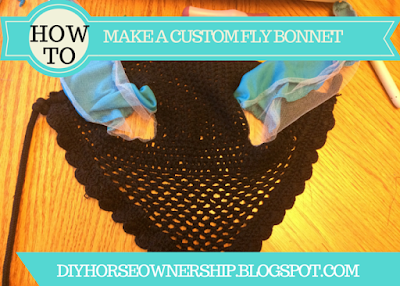 The mesh is great for keeping bugs out, but letting air in to keep Nilla cool. I was wondering where you'd managed to procure such an awesome bonnet! Great idea! 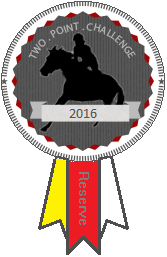 I got comments from everyone at the show and endurance ride about it. I really like it. I had to make something because mule ears and figured it might as well be pretty. I like it! I might have to try this out sometime. You can do it. If you do, share with me. I'd love to see what other people make.